Back in the golden days of the Nintendo Wii, there was a trio of Japanese RPGs released to differing acclaim in the West. This boon came during the time that the Wii was seen as a, for the lack of a better term, “kiddie console”; so the fact that three unique JRPGs were brought to it was surprise enough, let alone that one of the three came to be considered one of the best of its genre to be made for years (Xenoblade Chronicles, the Impressions of the recent N3DS port are here). However, the problem arose that the three quickly became rare, and then later impossible to find. 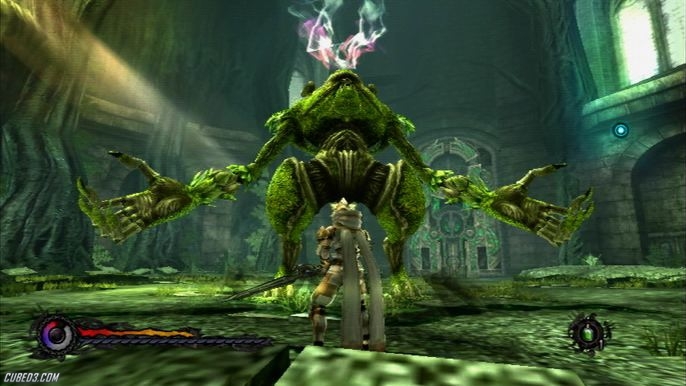 So, imagine my joy (as a JRPG fan) when one of the three that I missed was announced as a download for Wii U, Pandora’s Tower, developed by Ganbarion (mostly known for games based on anime series). Despite the continent’s religious order forbidding the consumption of meat, Elena must consume the flesh of the monsters that prowl the Thirteen Towers to halt her transformation. However, to lift the curse entirely, she must eat the flesh of the ‘Masters’ of each tower. This is where the player comes in, playing as Aeron, on the hunt for the flesh to heal Elena and hunting the ‘Masters’ to eradicate the curse. Now, the gameplay, and this is where I might get a little muddled. I have played the game for several hours and I am still undecided as to whether the gameplay is good or not. Under usual circumstances, this would be damning for the title involved, but the jarring combat (for instance) is very quickly accommodating. 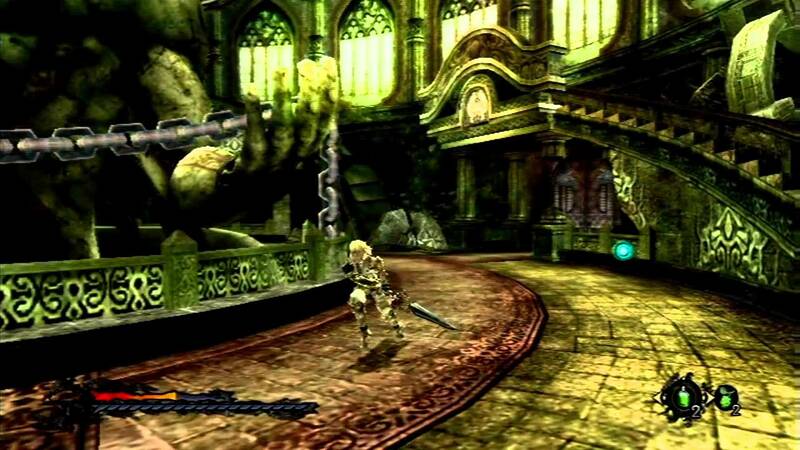 The closest comparison I can think of for Pandora’s Tower in terms of gameplay is Castlevania, especially given that the chain weapon features very strongly and in various guises and uses, such as pulling Aeron up to ledges and tearing Beast Flesh out of fallen monsters. This weapon is also, as is the video game trope, augmented and given additional powers as the player progresses, allowing the ability to bind enemies together or to other objects. The premise of obtaining the Beast Flesh for Elena is thoroughly enjoyable (and satisfying), but is nothing compared to the incredible boss battles that need to be overcome to obtain the Master Flesh. The boss battles, as they have less going on than the main exploratory parts, allow the player to focus and then the controls become more immersive and effective as you try to take down these hulking, powerful titans. In fact, I would go as far as to say that the ‘Masters’ more than make up for the sometimes clunky control feel that occurs in other parts of the game. A couple of things that can’t be ignored whilst playing reside in the bottom left of the game’s HUD. One is the visibly imposing bar of Elena and Aeron’s affinity with each other. I am yet to discover in the game the reasoning for this bar, but it can be boosted by talking to her whilst at the Observatory hub and giving her gifts. More subtle, but more important is the gothic stopwatch in the corner that informs the player of Elena’s degradation into a monster. If it begins to run out, the player must return to the Observatory to give her Beast Flesh to eat, or else she will become a monster and it is game over. This particular aspect of the game gives it a satisfying strategic edge of trying to decide, as the player, whether to continue further into the tower despite the extra time required to return to Elena. Aesthetically, this game isn’t fantastic, but it does look and sound pleasant enough. 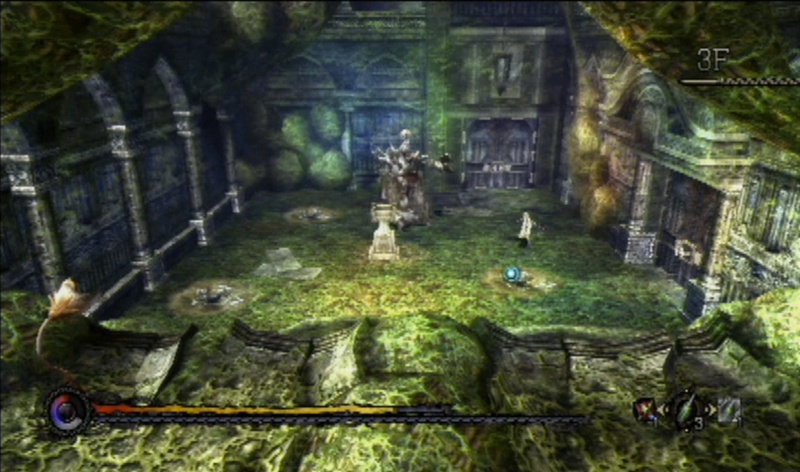 The music, although largely forgettable, does match the setting of the game and the foreboding threat of Elena’s curse. The environments, although dated by today’s standards, range from beautifully realised gothic castles settings, to wonderfully detailed and lushly rendered gardens. The character models, once again probably owing to the age of the game and it’s original format, look a little odd but this isn’t enough to detract from the game. 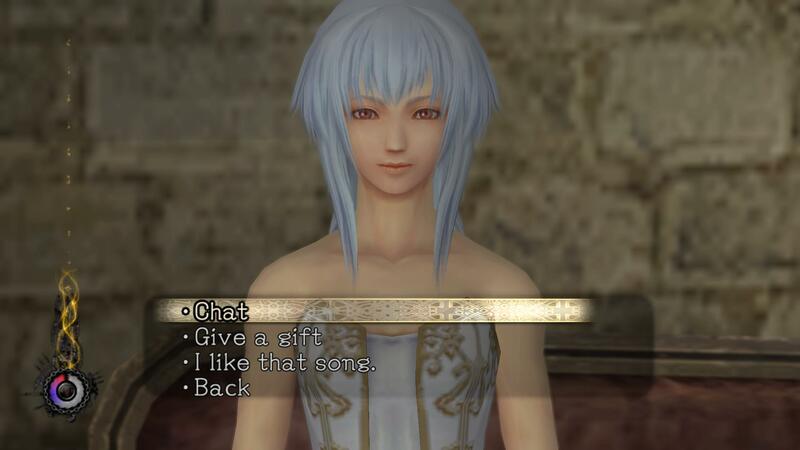 So, should you get Pandora’s Tower? It won’t be for everyone; the gameplay, the setting, or the combat will likely turn a lot of people away. It’s a good game, with a compelling story and some interesting mechanics, but it is remarkably nice, especially when compared to its contemporaries such as Xenoblade Chronicles. Any thoughts? Drop a comment on this article or tweet me @reuthegamer. ← A Brave New World: Are You In The Zone?